SI Group is a leading global developer and manufacturer of chemical intermediates, specialty resins and solutions that are critical to the quality and performance of countless industrial and consumer goods. About four years ago, SI Group designed a global sales & operations planning (S&OP) process which was subsequently implemented in all the regions worldwide. Since the S&OP process has now been operational for a few years, SI Group asked Involvation to carry out an audit to assess the quality of the various regional and global S&OP processes. By following a standardized approach and performing a calibrated assessment, Involvation identified lessons that regions can learn from one another. Furthermore, by bringing in external expertise and considering best practices, Involvation helped SI Group to identify additional opportunities for improvement. The final report included a roadmap with clear steps for taking the individual processes to the next maturity level. 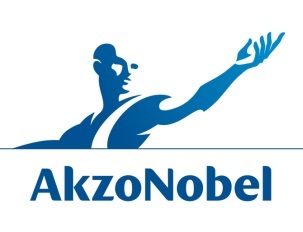 Sekisui Alveo develops, produces and sells high quality polyolefin foams, primarily in Europe and South America. Sekisui Alveo AG is based in Switzerland and the company has production sites in Roermond, Bad Sobernheim (Germany) and Merthyr Tydfil (Wales). Sekisui Alveo pursues a successful strategy in which the customer comes first. A large part of the products is customer specific and more than 50% encompasses “value added services”. As a result of this higher product complexity and increased volumes, service reliability (particularly lead times) had come under pressure. Reliability is important for Sekisui’s customers and its own growth ambitions. The company therefore asked Involvation to analyse and optimise the integral planning process, in order to enable the company to bring and keep service reliability at a high and sustainable level. The initiative includes subprojects in S&OP, demand planning, service strategy and production planning. Raising the Supply Chain knowledge of the entire organization. 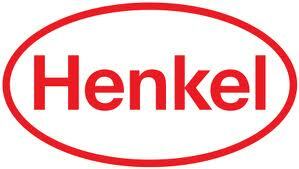 That was the question Henkel Adhesives asked Involvation. Involvation developed a modular Supply Chain Campus for the Henkel organization. After successful pilots the roll-out in Western Europe started. After that, training courses were given in Argentina, Brazil, China, Chili, Dubai, Mexico, Russia and Turkey. After design and implementation of a standard global S&OP process, SI Group has asked Involvation to help them bring the Demand Planning process to the next level. The group of 10 Demand Planners and Analyst from all the regions, is taken through a learning program covering all aspects of Demand Planning. The learning program is a blend of eLearning, exercises, classroom training and on-the-job coaching. Based on the training and facilitated by Involvation, the group reviewed the existing processes and defined an improved way of working. Following this approach we ensured that real improvements were made by putting the “theoretical” learnings into practice. Demand Planners and Analysts from all regions not only shared the same way of working now, but also feel empowered to improve the quality of the Demand Plan. And as a spin off, The Demand Planners together with experienced Consultants from Involvation will train the Sales Managers in their region on the new way of working with Demand Planning. This unique approach will bring Demand Planning in the whole organization to a higher level. Bonar, part of Low and Bonar, is a leading manufacturer and supplier of quality non-woven fabrics, woven, knitted fabrics, three-dimensional polymeric mats, construction and fiber composites that are used in civil engineering, home furnishings, transportation, construction, agriculture and industry. Bonar has production facilities in eight countries and employs over 12,000 people. Bonar has asked Involvation to support one of the plants for woven fabrics in professionalizing the production planning. In this factory synthetic polymer is extruded into films that are split into tapes. These are then woven into a fabric which is used as a ground cover in a variety of agricultural applications or as a geo-textile fabric for civil engineering purposes. Due to several developments it has become necessary to improve delivery reliability and to strengthen control of the finished product stock to reduce the risk of obsolescence. Involvation helps to find the right method for planning the production and, together with Bonar, takes care of implementation.